What do you get when you put some of the best project management brains in the world together and ask them to come up with what the future looks like? You get an amazing insight into how project management is evolving and what’s hot right now. TwentyEighty Strategy Execution, a project and performance management training firm, brought a panel of global senior managers together to ask them to reveal and comment on what’s trending in project management today. Here’s what they had to say. If you work in a waterfall project management environment, watch out, because Agile is coming to a project near you! The expert panel recognized that many organizations are still struggling with principles of Agile. However, the leaders of the pack are helping their staff over those initial hurdles and making it possible to blend Agile thinking into the way projects are run. Getting work done no longer needs to only involve what they call “disciplined approaches” (think of PRINCE2, for example). You can use the best of both to streamline your project delivery and find an approach that works perfectly for you. Project management is no longer a role that is simply about delivery. While completing work on time will always be one of the top skills for project managers that isn’t the only thing you need to be successful any longer. 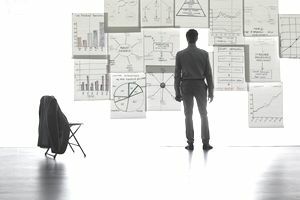 Project managers need to be able to see the bigger picture and relate what projects do to how they meet the strategic goals of the organization. There’s a big role to play in making sure that project financial targets are hit and TwentyEighty say that the project manager’s role is moving from that of project manager to “profit manager”. That’s quite a big leap for many project managers who may have only previously known how to write a project business case, and haven’t had much financial exposure beyond that. Change management used to be the domain of the change manager, but today many organizations don’t have the luxury of someone to just fulfill this role. Every project delivers change, and change management is a key skill for a project manager. It’s not something that every project manager will embrace but without effective change management processes and the right attitude to embedding change, projects won’t be able to deliver successfully over the longer term. To put it another way, change management makes change ‘sticky’. Change management training is something that you should consider if you don’t feel your own skills allow you to do this role completely. The expert panel commented that businesses shouldn’t assume that staff have learned how to manage change on their own so you might find that your boss is open to the idea of sending you on a short course. In today’s marketplace, the expert panel recognized that training can be a competitive advantage for businesses. Project managers need a range of skills from the technical skills they’ll learn through PMP training to good communication skills, analytical thinking and more. It’s more cost-effective to train your own team than it is to recruit and hire senior staff. 5. Project Management is Everywhere! The chances are that you are reading this article and you don’t have a formal, traditional background in project management. You are not unusual: that’s the way that many, many project managers started out. The TwentyEighty panel also identified that project work is not confined to one area of the business and as such project management is no longer just for project managers…if you see what I mean. In other words, everyone is managing projects these days, even if they don’t have a project-related job title. The benefits of this for business include better customer satisfaction, increased efficiencies and stronger strategic alignment overall.